On Sunday, October 1/14, 2018, New Gracanica Monastery celebrated its Slava (Patronal Feast), the Protection of the Most-Holy Mother of God. 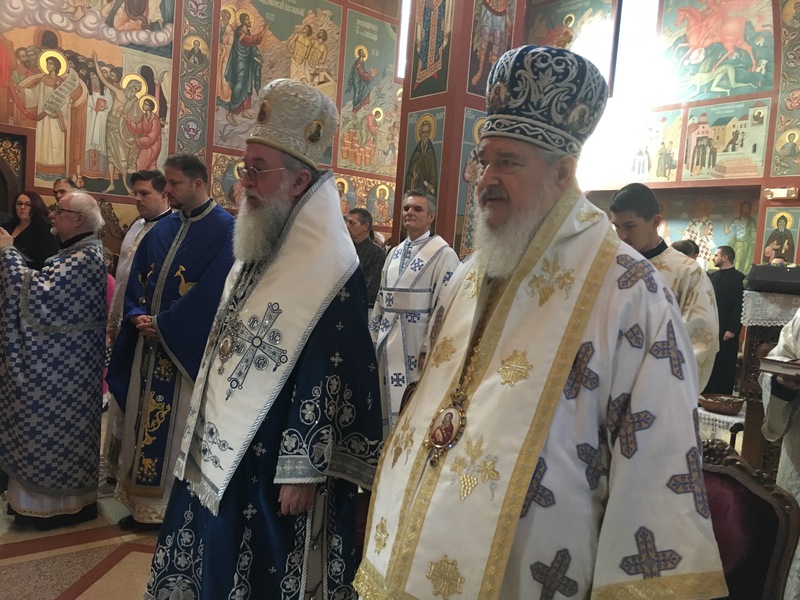 His Grace Bishop Longin of New Gracanica and Midwestern America celebrated Hierarchical Divine Liturgy along with His Grace Sava, retired Bishop of Slavonija, and eleven priests and four deacons. Concelebrating were Archimandrites Thomas (Kazich) and Serafim (Baltic); Archpriest-Stavrophors Milorad Loncar and Marko Pantic; Archpriest Jovan Jovic; Hieromonks Mark (Kerr) and Evstatije (Dragojevic); Protonamesniks Aleksandar Savic and Dragan Goronjic; Priests Nikolaj Kostur and Milos Zivkovic; Protodeacons Milovan Gogic and Pavle Starcevic; and Deacons Nenad Jakovljevic and Milorad Jancic. Responses were beautifully sung by the Episcopal Choir under the direction of Marya Savich-Milicich. 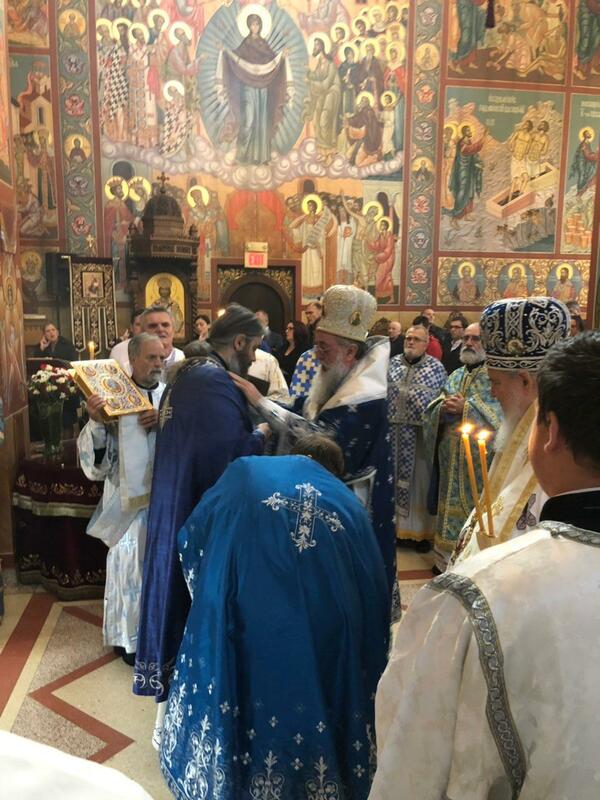 During the Small Entrance, Bishop Longin elevated Sindjel Serafim (Baltic), abbot of New Gracanica Monastery and Diocesan Secretary, to the rank of Archimandrite. Vladika Longin said that he decided to award Fr. 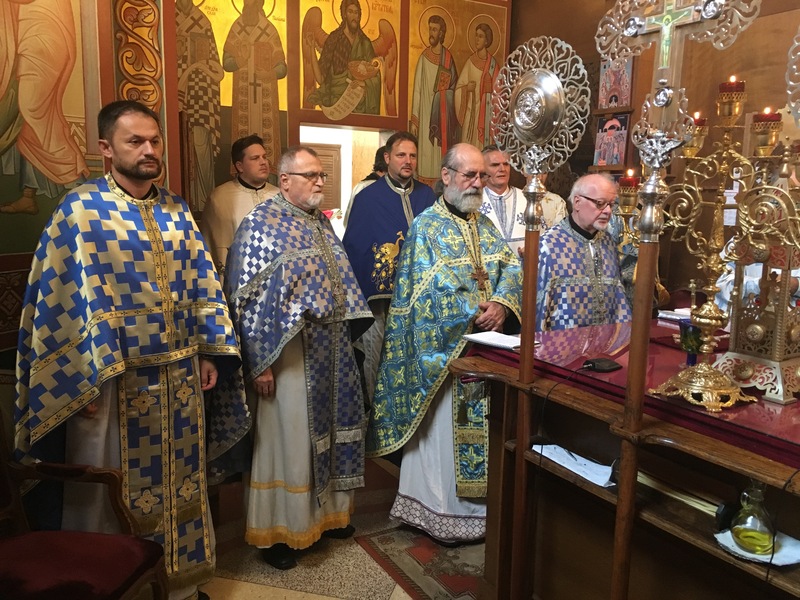 Serafim for his many years of zealous service to the Holy Church, and especially to New Gracanica Monastery and the Diocese. Vladika especially remarked on Fr. Serafim’s humble and purposeful witness of the heights and purity of the monastic life and way, which he exhibits, and wished him the continuation of his zealous journey on the same path. 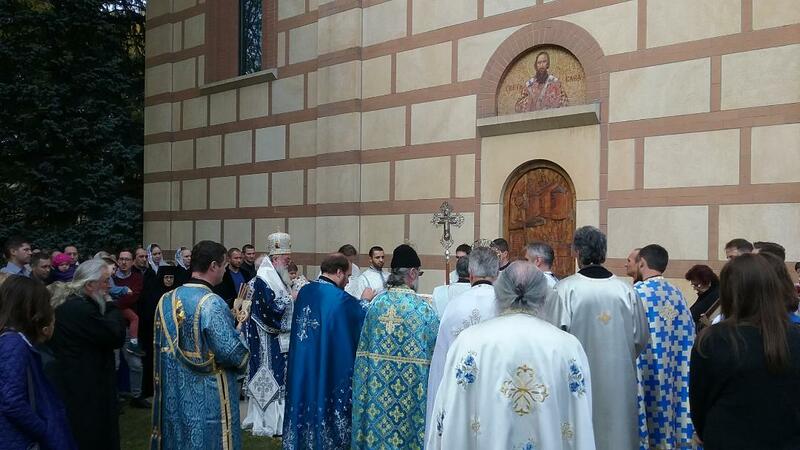 At the end of the Divine Liturgy, the faithful was led by the Bishop and Clergy in a procession around the Monastery church, culminating with the cutting of the Slava Kolac on the steps of the church. After the benediction, Bishop Longin spoke of the importance of the Feast and the protection of the Mother of God over all of us sinners, as she leads us to the Heavenly Kingdom of her Son. After the Liturgy, a Slava Banquet was held in the Monastery Hall with hundreds of faithful in attendance. 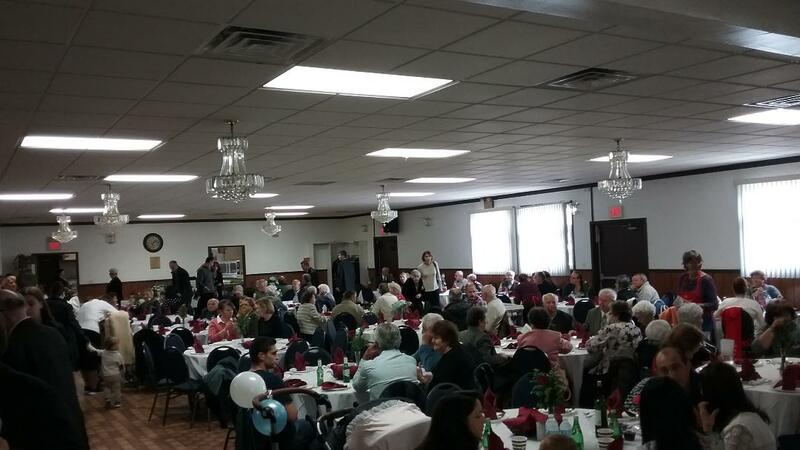 The Diocesan Kolo, under the direction of President Mira Andjelkovic, elegantly prepared a delicious meal for all in attendance. Most-Holy Mother of God, save us!